Let’s begin by taking a look at the specs of the Samsung X360-34P. Its processor is the 1.4 GHz Intel Core 2 Duo U9400, it seems like we are getting off to a good start. The operating system put into this machine is Windows Vista Business, which is getting more popular every day as people get used to the changed from XP. 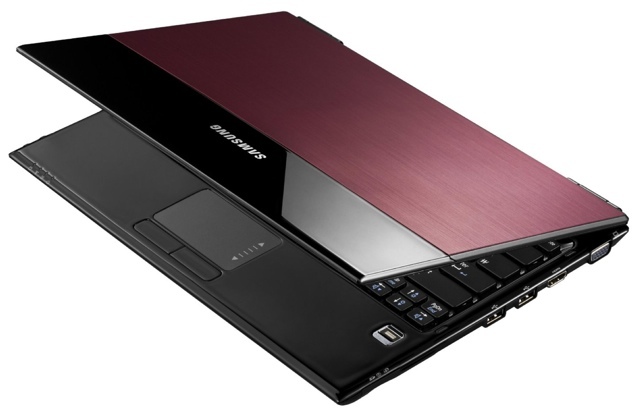 The Samsung X360-34P has expandable Ram from 3 GB to 4 GB and it has a hard drive speed of 128 GB SSD/N/A. 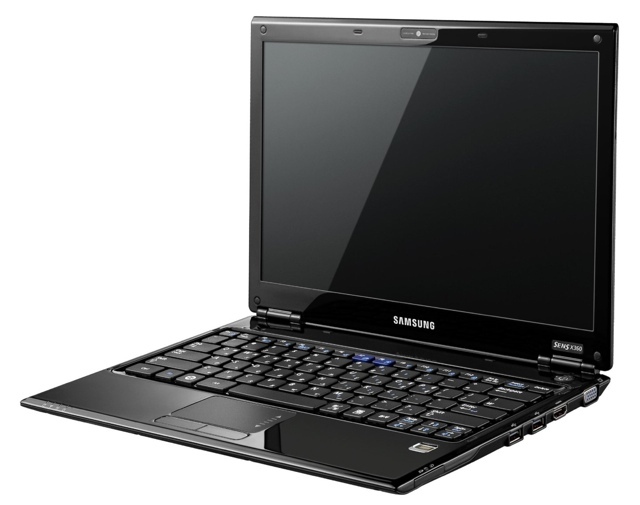 It does not have an optical drive and the display on the Samsung X360-34P is a fairly moderate size of a bit over thirteen inches (13.3) and gives you a resolution of 1280 by 800. Now let’s take a look at the design, which is just as important as the inside, to many people. This has a brush metal panel covering which take up about ¾ of the lid. The rest of this portable is a shiny black plastic, which is the signature look for many Samsung computers. This is a super, ultra thin machine; however it still gives you many ports. There are three USB ports in total, an Express Card slot, a headphone jack, a microphone jack, a VGA port and a seven in one card reader. This is a bit surprising, considering just how thin this notebook is. The display is on a LED 13.3 inch screen which is very good viewing angles from the sides and gives you resolution of 1280 by 800. When watching movies, you will find them very crisp and clear. There are also two 1.5 watt speakers with enhanced digital sound to make your viewing more pleasurable. Due to the construction, the weight of the Samsung X360-34P is very light at only 2.8 pounds, hardly noticeable when carrying it around. The keyboard is coated with an antibacterial material and is designed to offer very quiet typing. The touch pad is user friendly and of good size. Just about every feature on this model is quiet and offers user friendliness. If you are looking for a descent, powerful, very sleek and thin portable notebook, the Samsung X360-34P may just be the one for you.